If ever you feel like the city is becoming too toxic for you, don’t feel like you don’t have any other choice. You can always look south and know that somewhere on the path there is a place that is waiting for you to visit. The South has the Sahara desert which is famous for its safe and quiet atmosphere. A trip to Morroco could be perfect to rest your mind for a few days from the bustling city. So what are you waiting for? Join us now as we explore South Africa for five days and four nights. During the trip, you will experience how it is to live in Marrakech and Merzouga. Below, we have written an itinerary for the journey. We are scheduled to leave Marrakech at 7 o’clock in the morning. We will travel through the Atlas Mountains. After a few hours, we will stop by Tadart Village to grab some delicious Morrocan breakfast. 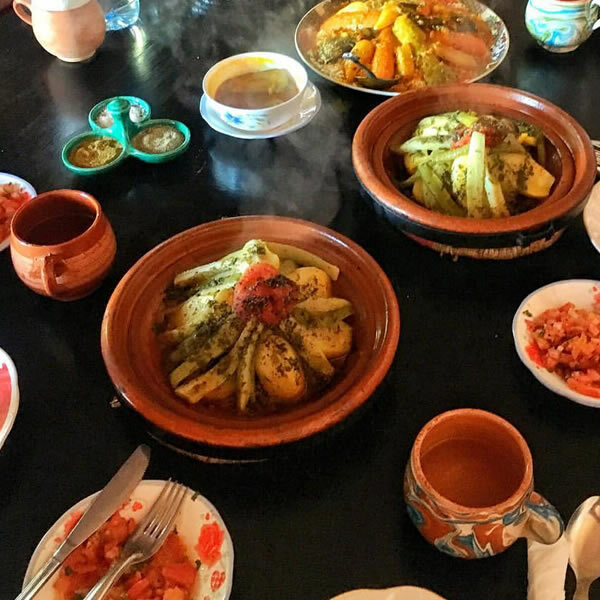 After satisfying our tummies, we will then continue our trip to the next destination which is the Ait Benhaddou Kasbah. It is a UNESCO World Heritage. We will visit there the Ksar Ait Benhaddou or also known as the Ait Benhaddou Castle. 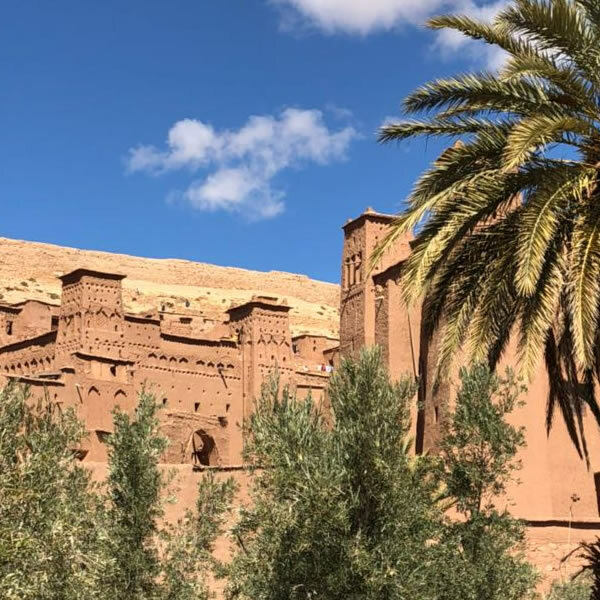 This Kasbah is a well-known location for shooting movies like Sodom and Gomorrah, Lawrence of Arabia, Alexander, Gladiator and many other Hollywood movies. After that, we will proceed to Ouarzazate or the Morrocan Hollywood where we will enjoy a sumptuous meal. After filling our stomach, we will hit the road again and go straight to Tinghir where we will stay at a hostel for the night. After eating breakfast in the hotel, we will take off for Todgha Gorges where we will see beautiful and diverse landscapes. We will then have our lunch at Tinjdad Village. After that, we will hit the road to Merzouga. While on the way, we will pass through Arfoud and Rissani. We will arrive at a hotel in Merzouga in the afternoon. In the hotel, we can relax by the swimming pool and drink sweet Morrocan mint tea. In the late afternoon, we will travel to the heart of the desert by riding a camel’s back. In the center of the desert, we will get mesmerized by the sunset by the dunes while sipping a cup of tea with the nomads’ company. In the evening, we will enjoy a delicious meal by the campfire, accompanied by excellent traditional Morrocan music played by the nomads. We will wake up early on the third day so we can enjoy the stunning sunrise in the desert. After that, we will go back to our hotel with the help again of the camels. In the hotel, we will eat our breakfast, take a bath and rest for a bit before we take off to Errachidia which is a small town. We will be taking pictures while we are on our way there. After Errachidia, we will drive to Midelt where we will eat our lunch. After the fulfilling meal, we will drive to Ifrane where we will pass by some small towns like Azrou and Tihmadit. We will have a 20-minute break before proceeding to our hotel in Fez. We will spend the night there and recharge for the adventure the next day. We will have our breakfast at 8 o’clock and will leave for Meknes afterward. We will visit and enjoy the view of the Old Town in Meknes. After that, we will drive to a small town called El Hajeb where we will be eating our lunch. After consuming our meal, we will go to Beni Mellal. While we are on our way there, we will enjoy the view of beautiful small towns that we will pass by during our drive. The cities that we will drive across are Mrirt, Khenifra, Kasbat Tadla and many more. We will stay at a hotel in Beni Mellal on our last night in Morroco. We will have our breakfast at the hotel at 9 o’clock. We will then drive to our last destination which is the Ain Aserdoun before we go back to Merrakech.